Enjoy the top 29 famous quotes, sayings and quotations by Bing Gordon. 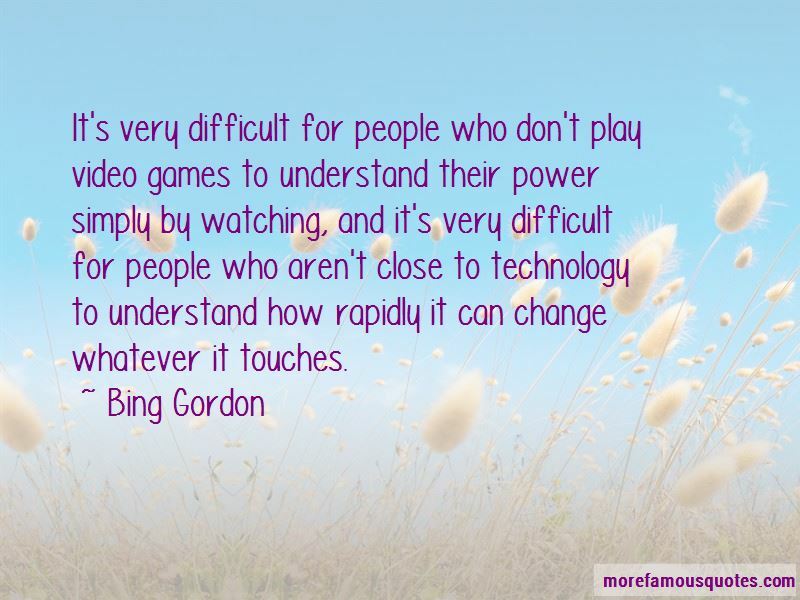 It's very difficult for people who don't play video games to understand their power simply by watching, and it's very difficult for people who aren't close to technology to understand how rapidly it can change whatever it touches. Once you find out that someone likes a certain game on Facebook, now you know what kind of virtual gift you can get them. You can send them a little decoration. Social games give you goals where you can help and reward your friends. I believe in books. 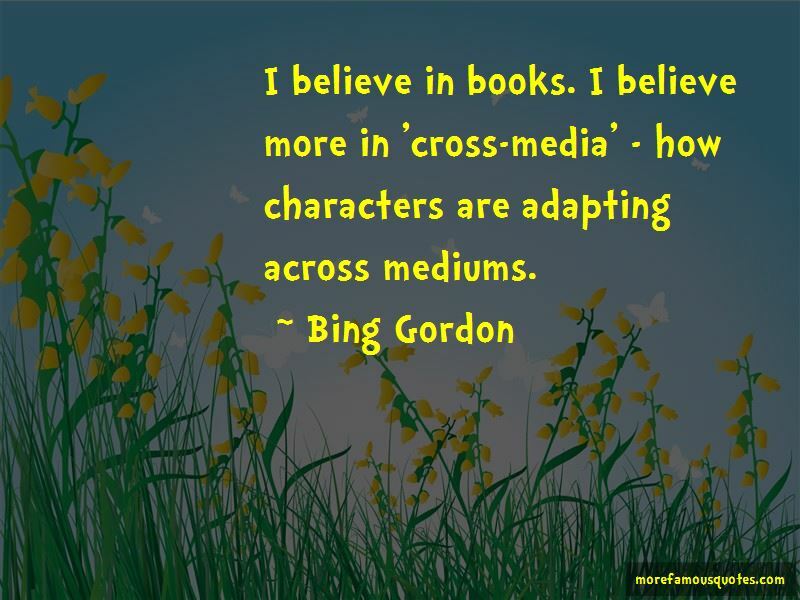 I believe more in 'cross-media' - how characters are adapting across mediums. I ran the high school newspaper and was in student government. I played sports my whole life but was never picked as captain. Your job as CEO is to be the fastest person of the company. Every startup CEO should understand Gamification, because gaming is the new normal. The only thing better than living on a mac, is living at Hogwarts. 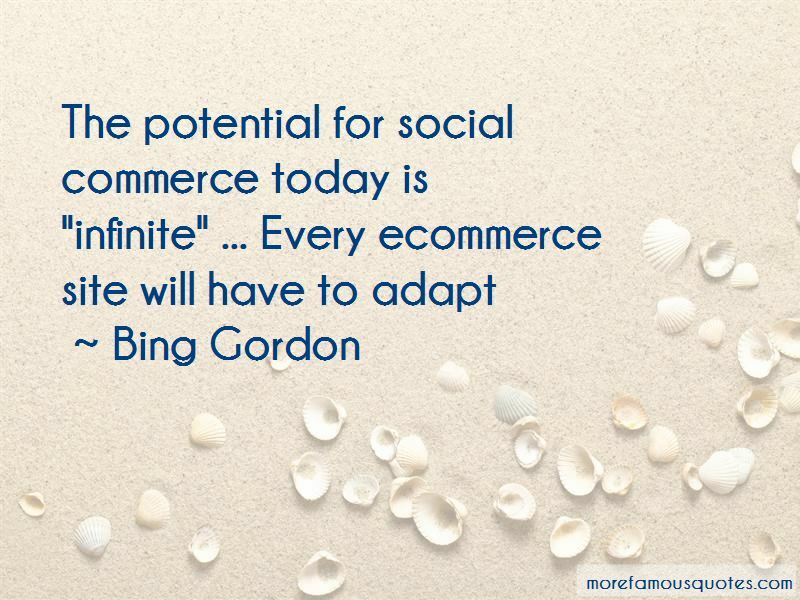 Want to see more pictures of Bing Gordon quotes? 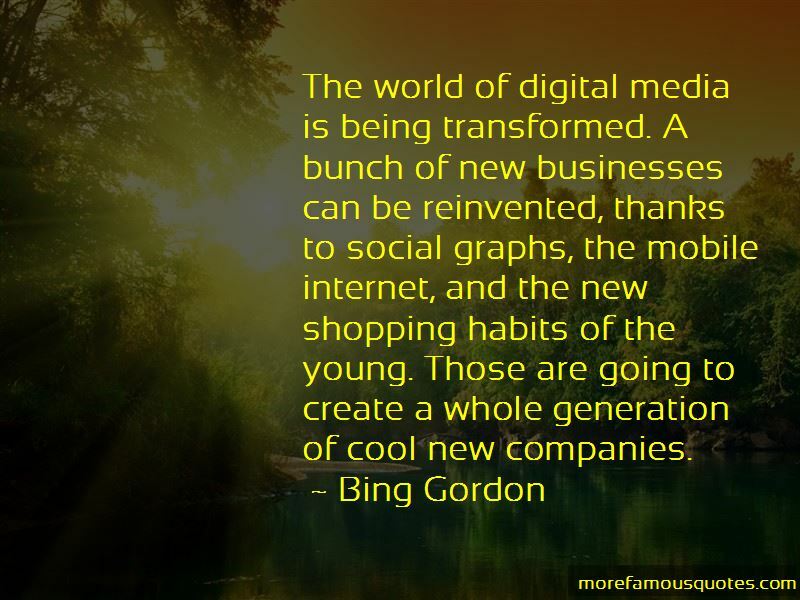 Click on image of Bing Gordon quotes to view full size.